For nearly a decade, the concept of inbound marketing has been a large component in how webmasters, businesses and brands determine the best ways in which they can attract new visitors and consumers. Not all inbound marketing strategies are created equally – some aim to engage in direct sales, while others attempt to persuade their visitors to engage in other calls to action. Because of this, there is no uniform method that is effective when it comes to any and all niches. 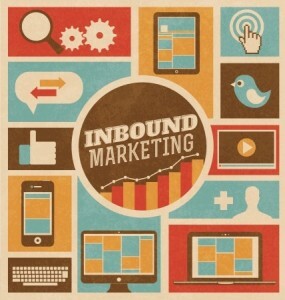 What we can use to learn more about inbound marketing, however, is the current trends of the game and where those engaged in it are spending their time. Moz recently released its 2014 Industry Survey results; in this article, we’ve dug through the data and isolated the most important aspects of modern inbound marketing strategies, based on the feedback of nearly 4,000 marketers. By a wide margin, the area in which the highest percentage of respondents reported spending more than half of their active time with inbound marketing was analytics. The future (and present) of inbound marketing is/will be heavily reliant upon number-crunching and the ability to quickly determine where higher CTRs, more conversions and better ROIs are being achieved. Smaller brands can find success with even basic analytics software suites, but more advanced businesses and websites may require a premium solution in order to keep up with their competitors. The second most popular trend in inbound marketing is content creation, which comes as no surprise to those who remember how this form of marketing began. Quality content is essential in shifting the centre of gravity when it comes to ensuring people gravitate to your content (as well as feel motivated to share it). Some become wrapped up in pinging URLs for link juice, but following the basics of good content is far more important for this form of marketing. Coming in third in the amount of time spent by respondents of the 2014 Industry Survey results, keyword research continues to hold its own in inbound marketing efforts. While pinging URLs via social media can be a great way to expand your reach, keyword research has a fundamental role to play in expanding the scope of your brand’s reach in search engine results. More than 20% of respondents reported spending at least half of their inbound marketing efforts on this single activity. The biggest trend in inbound marketing is social media; while the other three items on this list have been power-players for inbound marketing efforts for some time, social media is the fastest rising star. This platform incorporates both organic and paid marketing capabilities that can get your content in front of others quickly and effectively. When you produce quality content, the natural flow of it may be enough to negate any need for paid marketing strategies through these networks. More likely, however, is that you will use a combination of paid and inbound marketing to get the job done.